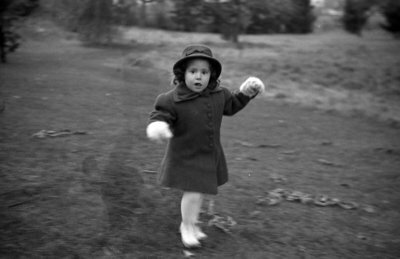 A black and white negative of Jane Holliday playing outside. In this view she is facing the camera. Jane Holliday, c.1935, Marjorie Ruddy. Whitby Archives A2013_040_069C.